Here’s something awesome for all the adults out there who love coloring. And the most exciting part is you could pull out and frame them to add to your Home decor! How personalized and super fun would that be! We were so happy to meet Subadra Kalyanaraman(Instagram – @sobadra) the artist with such insane talent and her support supportive husband Balajee G E, a writer who has penned this magical story for “Shankuntala and her Magic Box’. He blogs at TheLocalTeaParty. Tiny farm caught our attention with its simple yet quirky design patterns. 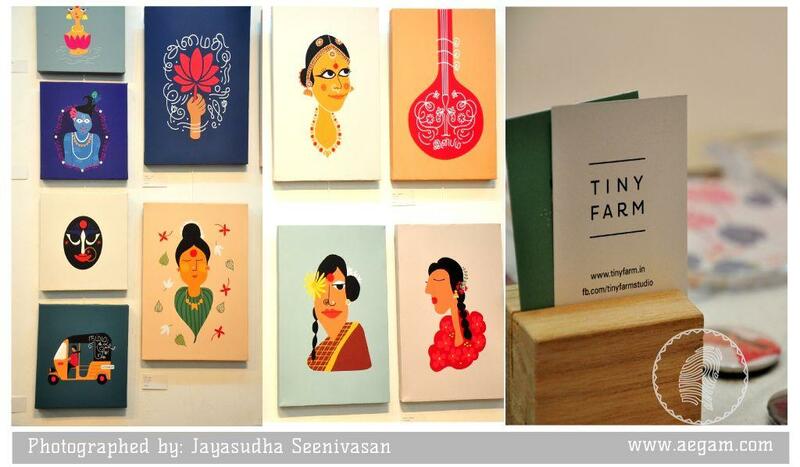 We loved the illustrations by Riddhi, the founder, designer and illustrator of TinyFarm. The range products include notebooks,desk calendars, coasters and art prints. Kairasi by Rajesh Bajaj spoke everything that is authentic about our Artisan woodworking. Beautifully restored and repurposed wood furnitures stood tall and magnificent. They are perfect for anyone who loves to indulge in antique collection. Yet again they are a local pride of Chennai, please visit their website www.kairasi.co to browse through their entire collection! Hope you enjoyed the photo tour of the Maker’s market. You could stop by if you are in town, it is open from 11 am to 7 pm – Feb 6th, 2016 at Lalit Kala Academy, Greams Road, Chennai. Loved your blog and the way you have organized it. 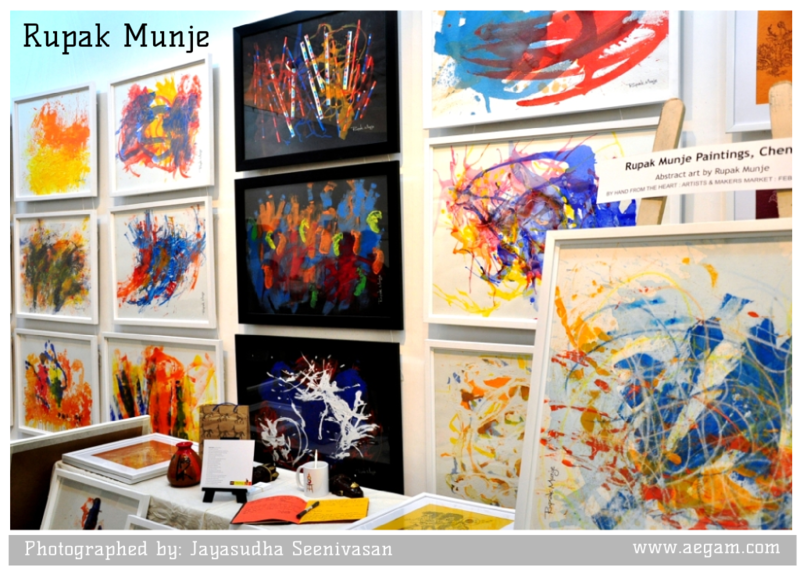 You have covered the event beautifully, I have always loved olie’s products and other three things which blew my mind off and which I got introduced through your blog are Monkeyji, The paintings by Rupak Munje and Kairasi by Rajesh Bajaj. Thank you for you kind feedback! And yes the Rupak’s paintings were so inspiring and we loved the time spent at the Maker’s market. We got to hear the startup stories and how each one turned their passion into amazing products.